According to “The American Freshman: National Norms Fall 2015,” an annual survey put out by UCLA, nearly 80 percent of incoming freshman lived in on-campus student housing last fall. And more than 40 percent of those same students said they chose their college based on a campus visit experience. This is up from 35 percent who said a campus visit affected their choice in 2010. The rate at which students are choosing their college or university based on the look, feel and experience they have during a campus tour is on the rise. With more than 7,000 post-secondary schools vying for student enrollment, many institutions tout their housing options as a major competitive advantage. When comparing universities, students judge housing options on quality, convenience and extra amenities. Parents, meanwhile, are in-tune to other qualities, such as safety, security and cost. In order to stay competitive with off-campus housing developers, it’s important to know what students want. A survey by J Turner Research and Multi Family Executive of 7,095 graduate and undergraduate students, tells us that space is the biggest thing college students are looking for. 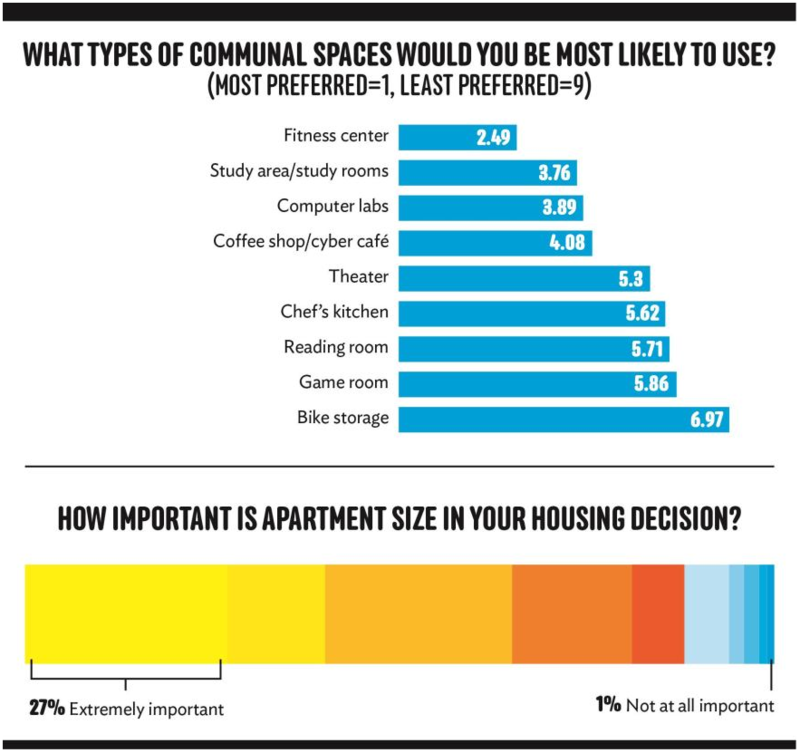 Sixty-five percent of respondents said that apartment size was “extremely important.” When it comes to communal spaces, student listed fitness centers as a top priority with specified study areas close behind. One advantage that on-campus housing can offer over off-campus housing is walkability and easy access to campus. The survey found that 37 percent of respondents said they would prefer to walk to and from campus. This can be compared to 23 percent who prefer driving and 20 percent who plan on taking public transportation. Life on campus has historically created a more inclusive learning environment for students. Those who live on-campus are more likely to graduate, hold a higher GPA, have a more complete college experience, and become a more involved alumnus. Of the ten universities with the highest percentage of on-campus students, eight were ranked among the top ten in U.S. News Best National Universities rankings. Although the culmination of these positive effects should generate a push for students to live on-campus, the opposite is shown for most four-year universities. 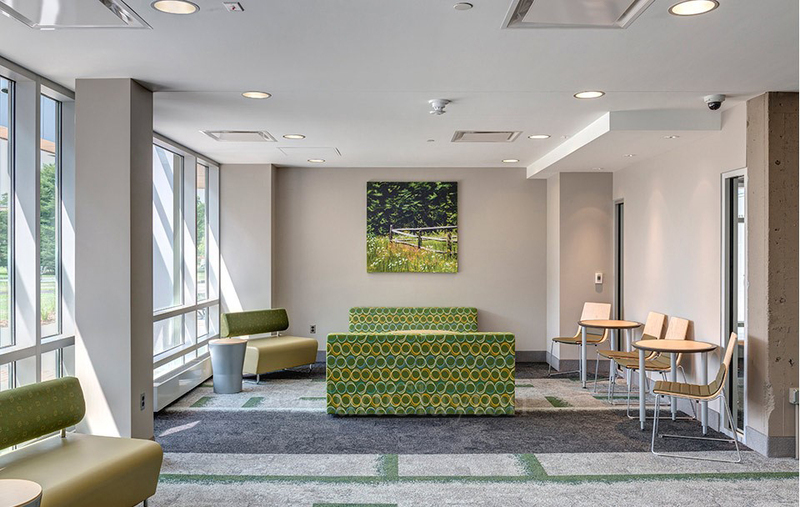 Group lounge areas, like this alcove at Michigan State University’s Butterfield Hall, give students a location to gather outside of dorm rooms. Now, universities are not just competing with one another in the quest for optimal housing. Private developers are bringing the competition straight to the university’s doorstep. The convenience factor of living on university grounds is being pushed out of the picture, as private developers often build right outside of campus boundaries and offer competitive rental rates and fewer rules. For decades, there has been a shift between sophomore and junior year as students, who previously lived in dorms and on-campus housing, migrate off campus. The competition for student tenants is a multifaceted one. On one hand, off-campus developers are able to produce a cheaper product, utilizing trendy, transient materials without the burden of university-driven standards. As a trade-off for a morning commute, off-campus housing can also provide a sense of independence for some students. But those benefits are offset by the benefits of living on-campus, which offers increased student safety, increased accessibility to campus amenities, and a good environment for socialization and student body camaraderie. 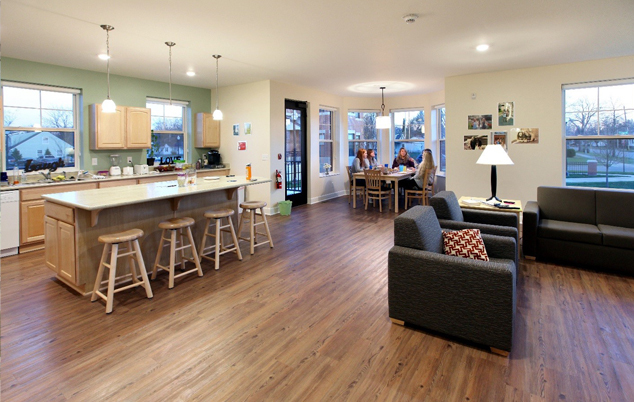 The beauty of the on-campus housing model is that it can be altered to suit the changing needs of students. As the needs and expectations of students and parents continue to change, universities will need to learn how to evolve as well. Only then will they be able to remain competitive with off-campus developers. 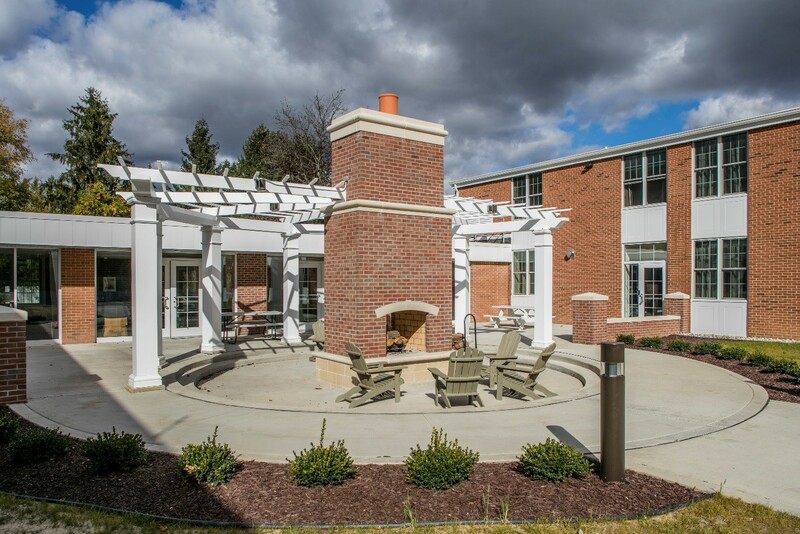 The beauty of the on-campus housing model is that it can be altered to suit the needs of any public or private institution. When communities support the development of affordable housing, it spurs economic development and ensures people and families of all income levels have a place to live. That push for affordable housing in Grand Rapids is a major goal of the City’s new master plan.